MOTIVATED SELLER ALREADY HAS HER NEXT BOAT! 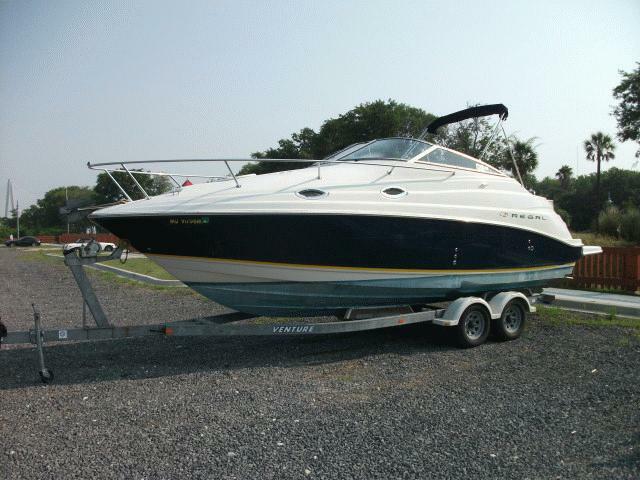 This 2665 Regal Commodore is loaded and ready to go! Only 320 hours on Volvo 5.7 GXI DP engine! She comes complete with a galvanized Venture trailer, 5 kw Kohler genset, New Lowrance HD57 Chartplotter, cockpit cover, bimini w/complete enclosure, brand new forward deck sunpad with cover, brand new forward eisenglass, ac/heat, shorepower, hot water, refrigerator,microwave and much, much more! You really need to check this one out, there's not another one with anywhere near this equipment list and she's in excellent condition! Current surveys available, including oil sample results and compression test!